Hellloooo Spring! Our introduction to Spring in Chicago began with hail, six inches of rain, lightning, thunder, and flooding in our backyard. Wee!! I love a good Disney/Pixar/Animated movie like the next person but we haven’t seen a lot of them such as Aladdin, Monsters Inc., Antz. We are not really “movie people” in that we don’t rush out to see the latest movies in the theater and we don’t run out to Target the day a movie comes out on DVD. In fact, we usually don’t get on the bandwagon months, sometimes years after a movie sensation comes out and when we do watch it, we can’t wait to talk about it! Of course, no one is listening because they have already watched it like, a million times because they saw it years ago like normal people. So when the littlest member of our family stumbled on the movie Toy Story last weekend, (a movie that my oldest and myself have seen but my husband had not) we all sat around the TV and watched in silence (with the intermittent laughter of course) together as a family. She loved the “cowboy movie” as she calls it and so that spawned a week-long viewing of Toy Story that required me to rent the movie at the library. We’ve also never seen Toy Story 2. Yes, I know it came out in 1999. Yes, I know I have small children. NOT NORMAL, PEOPLE! Anyhoo, while at the library I also rented Toy Story 2 and we laughed harder than we had while watching the original Toy Story until we came to the scene where the girl gives Jesse away. WHY DID NO ONE TELL ME THIS WAS COMING???? Oh yeah, because everyone saw it in 1999. I cried harder than my children while my husband snickered at me. I think it’s a mom of children thing and moms will agree. They are growing up way too fast. Oh, and I may never throw away another toy again. This weekend our oldest daughter celebrated her birthday with friends by going rollerskating at a local rink. In honor of her turning 11 and always trying to be the parents who love to embarrass our children we decided that we would be joining in on the fun. 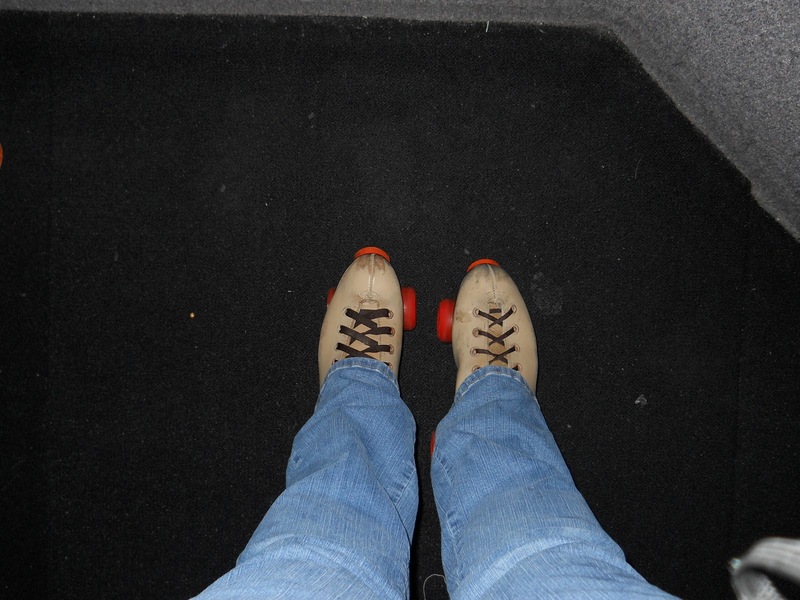 Me and my skates before we went DOWN. It was so much fun! The girls did get a kick out of my husband and I skating especially when I made a fun game for the girls to play that included trying to knock said husband down. It may or may not have included an extra piece of cake for the winner. I know, it is amazing that he is still married to me. I love all these colors and most of this is thanks to no other than Dollar Tree!! 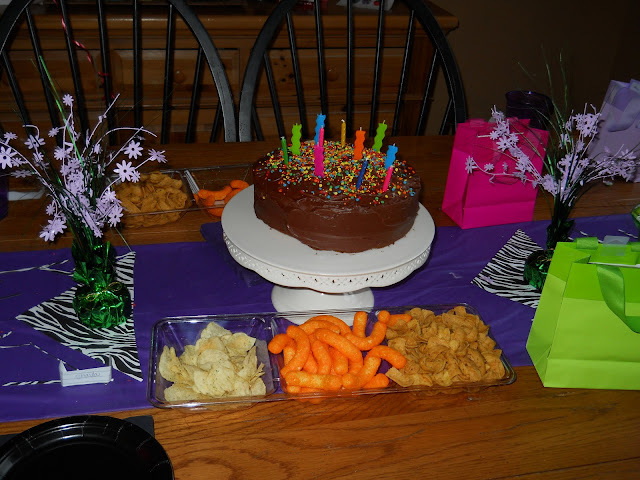 See the snack tray with chips? 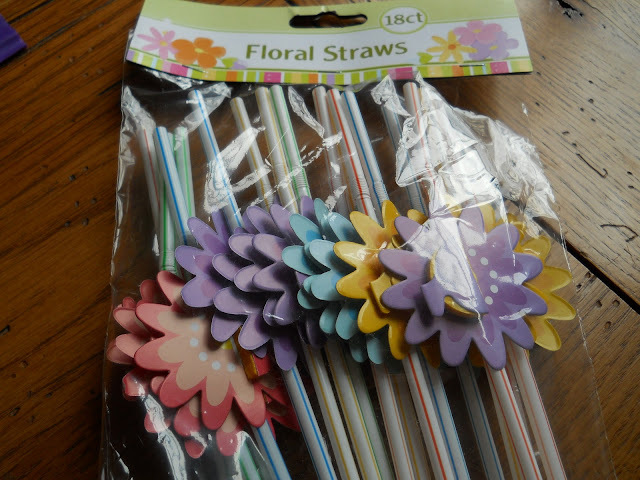 Dollar Tree. 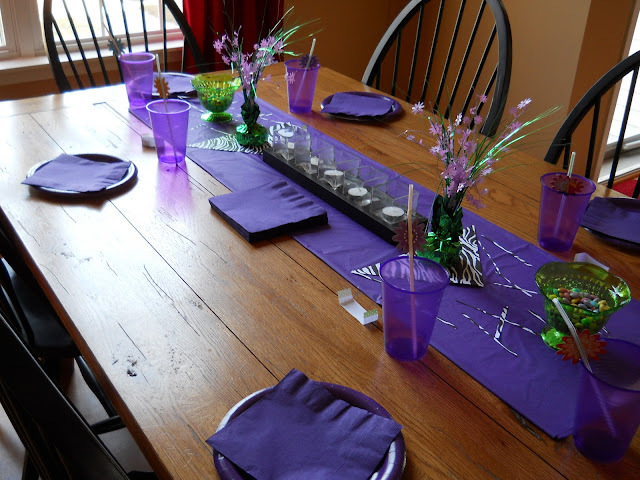 See the cute flowery centerpieces? Dollar Tree. See the cute zebra shapes? Hobby Lobby from last week’s room makeover! 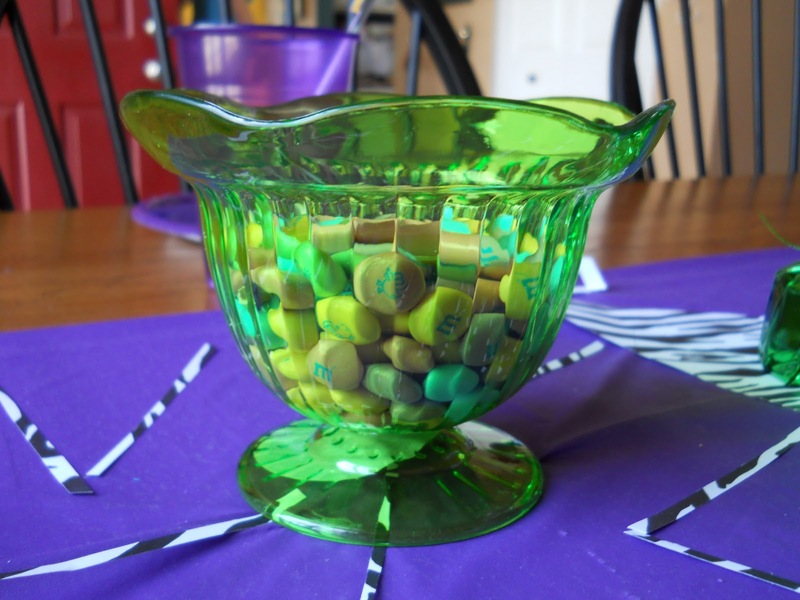 I also found this cute candy dish at Dollar Tree. It is only plastic but I loved it and I can reuse it ’til it cracks and who cares? Why do I not care? Only. a. dollar. Too cute. And we used every single one. Grand Total– $11.44 for a cute tween table! Wee!! It turns out I had a little spill this weekend. Not on the roller rink (although I did fall just once. Hard. On my rear end.) but the following day while doing the hard task of descending my stairway. I fell all the way down the stairs. 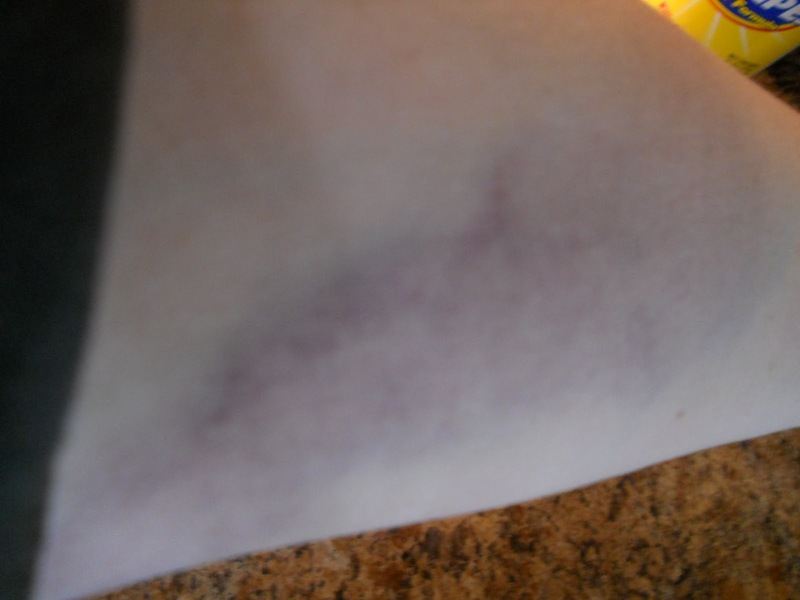 Umm, that’s a bruise. A.Big.Bruise. And this isn’t even the entire thing. The rest was hidden under my shirt. So I am hurting today, not from skating but from my “fight” with the stairway. I’d say the stairs won.